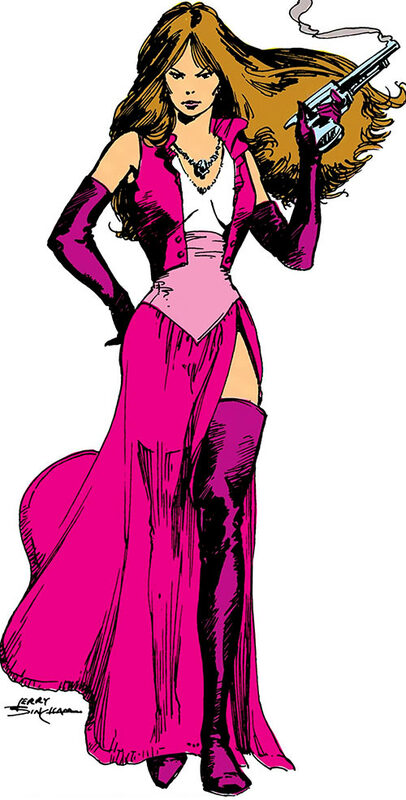 Talia is the daughter of Ra’s al Ghul, one of the greatest enemies of Batman and a major mastermind. She appeared in 1971, and was part of a landmark saga pitting Batman against her father. She also played an important role by being one of Batman’s major love interest, though their love is tragically impossible due to their opposed loyalties and ideologies. 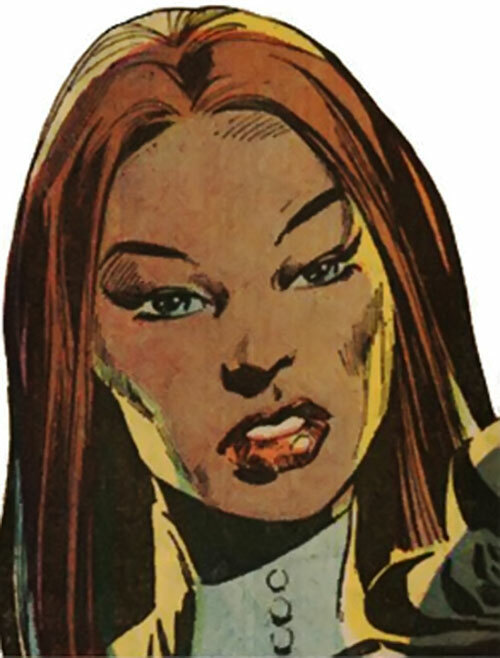 Talia has since occasionally emerged as an evil mastermind of her own, though her ethics can be complex and unpredictable. This entry is a very old one, and was mostly polishing her official Mayfair stats and adding some general data. 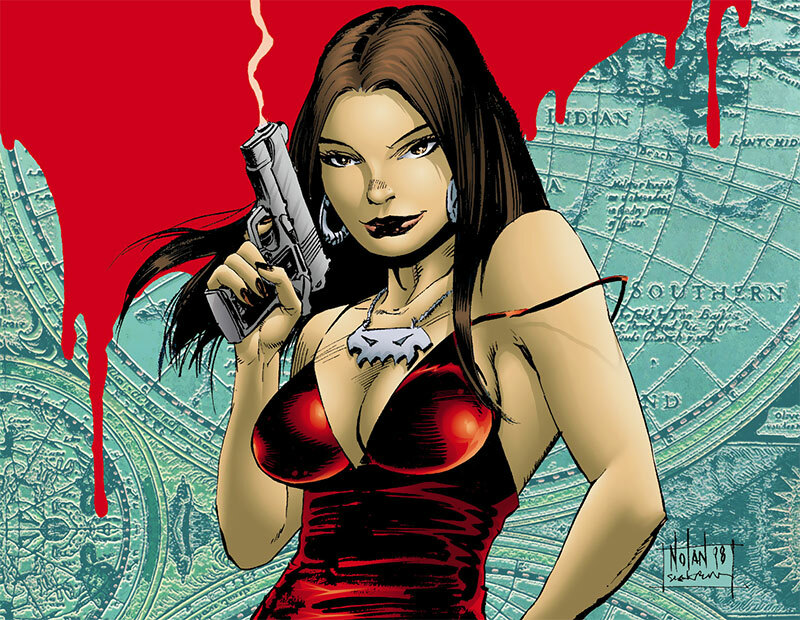 Real Name: Talia al Ghul. Known Relatives: Ra’s al Ghul (father), mother (deceased). Height: 5’8” Weight: 120 lbs. Talia has no superhuman powers, but she’s an Olympic-level athlete. She received tutoring in unarmed and melee combat as well as archery from her father and the best of the League of Assassins. She has proven to be a match in hand to hand combat for the Birds of Prey’s muscle girl, Black Canary. She studied medicine at the University of Cairo and possesses a great deal of medical and chemical knowledge. Talia first met the Batman when he rescued her from an enemy of her father. They soon met again, at which point it was revealed that her father was the enigmatic and powerful international criminal Ra’s al Ghul. It was Ra’s intention to depopulate most of the Earth and have his heirs repopulate the world with a superior breed of humanity. Ra’s intended for Batman to succeed him as the head of his organization and marry Talia. 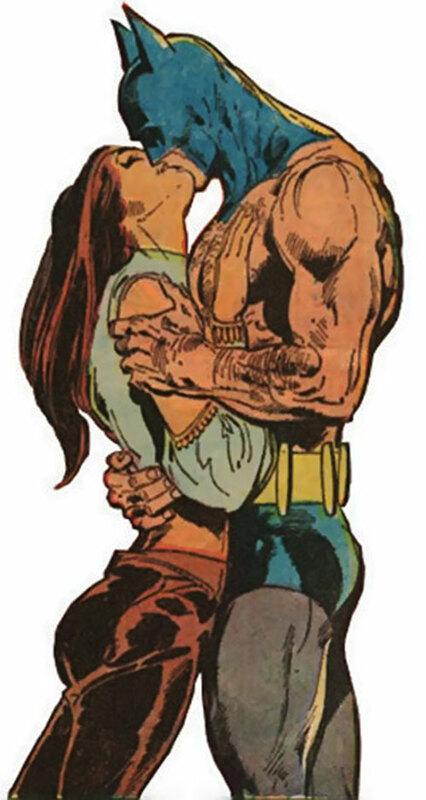 Batman declined both invitations, but even though their duties divide Batman and Talia, their mutual passion binds them. As Batman once stated, “whatever’s between us is beyond our control, but there’s nothing we can do about it. Ra’s is my enemy, and you’re loyal to him”. 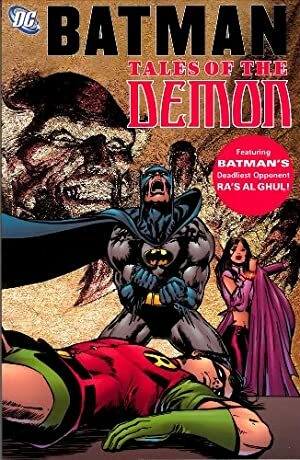 However, Talia has occasionally betrayed her father’s wishes in order to help Batman, even to the extent of saving his life when Ra’s left him for dead. Talia has worked with her father’s organisation on and off over the years and has displayed her abilities on more than one occasion. She even was able to defend herself against a powerful attack from Black Lightning. Talia and Batman have crossed each other’s path on several occasions now. She once even fought on his side against a terrorist who happened to be an enemy of Ra’s al Ghul. Recently, Talia’s father attempted to find two more suitable mates for her, Bane and Azrael. Bane fell out of favor when he was defeated by Batman, to Talia’s relief : she found him to be an uncivilized brute. Azrael was also found wanting because of the animal DNA in his genetic make-up. Talia’s of an indeterminate mix of ethnicities, with tanned skin and slight epicantic folds. She is particularly lithe and beautiful, with a perfectly toned body. 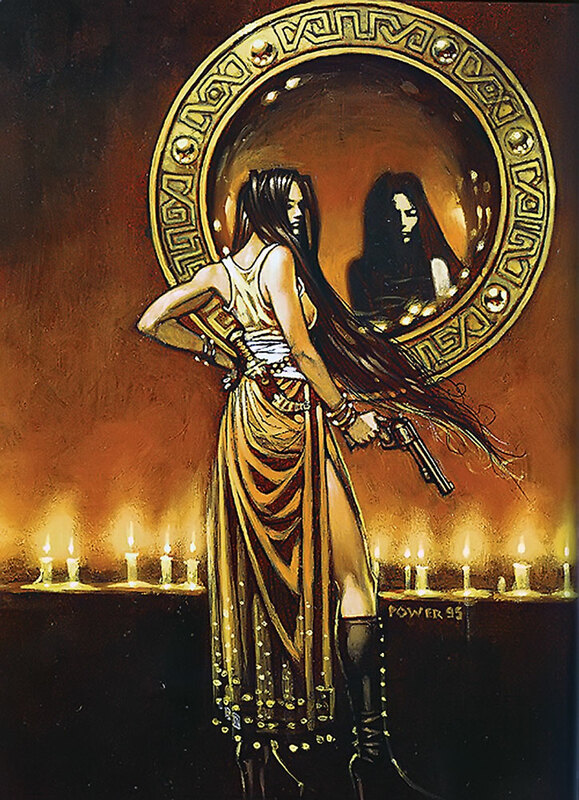 According to one source (which may be apocryphal), while looking no more than 25, she’s been around since the 1800s thanks to the Lazarus Pit . Talia is first and foremost loyal to her father, Ras’ al Ghul, even though she has her disagreements with him, and will defend him to the death without hesitation. However, she does have a sensitive side and will allow adversaries of her father to whom she is sympathetic escape. Also, while she will not directly defy her father, she will try to manipulate events toward a more favorable outcome for her, as evidenced by her efforts to spare Batman. Attractive, Connoisseur, Iron Nerves, Lightning Reflexes, Rich Family, Languages (Numerous languages), Sharp Eye, Slowed Aging. Batman (High), International Underworld (High), League of Assassins (High), Ra’s al Ghul (High). CIA (Obeying Ra’s al Ghul), MIA (Batman). Crossbow [BODY 04, Range: 05, Ammo: 01, R#02] with four Bolts [BODY 02, EV 05]. When Batman first encountered Talia, her DEX and all DEX-based Skills were “only” 07. Source of Character: Batman comics (DCU).